There are thousands of pine tree stands tall in Bantul, Jogjakarta. The distinctive aroma of the pine forest makes visitors fall in love with this area. Moreover, Pinus Pengger forest doesn’t only promise peace to the soul. It also offers a beautiful view to memorize in camera shots. The visitors only need to pay the parking fee of Rp 10,000 to Rp 15,000. However, there is no transportation to go around the forest. Thus, visitors need to bring their own transportation. On the other hands, this place is still a must-visit for the following reason. The pine forest of Pinus Pengger is not a new destination for tourism. It’s been there for a very long time. However, the newly construction makes it good for photography hunters. It is an iconic structure, leading to the endless scenery of trees and cities. From this place, the visitors can see how great the view surround them. For the selfie seekers, the Giant Hand is a must-visit place in your agenda. This place will give a great experience in photography. managed well. A number of people make a queue to take a picture there which is very effective. This place offers a cooling place from the heat. Hiking up for a beautiful view overlooking Jogjakarta is the best thing to do here. However, this place is not suitable for people who have weak knees. It is because they need to do some climbing. The pine forest is about an hour from South East of Jogjakarta. It depends on the traffic. The biggest attractions in this forest are the simply amazing views overlooking Jogja. Moreover, there is also some Hobbit construction here. It lives the beauty of this place. Pinus Pengger has at least 2 "photo studio" for night photography. Furthermore, it has the Jogjakarta city as the background. Cool, isn’t it? That place is very convenient with a very low cost to create a great picture. However, the queue is the only bothering thing here, but don’t worry. We will get the incredible photo from the photographer. Those all of five reasons why Pinus Pengger is a must-visit place in Jogja. 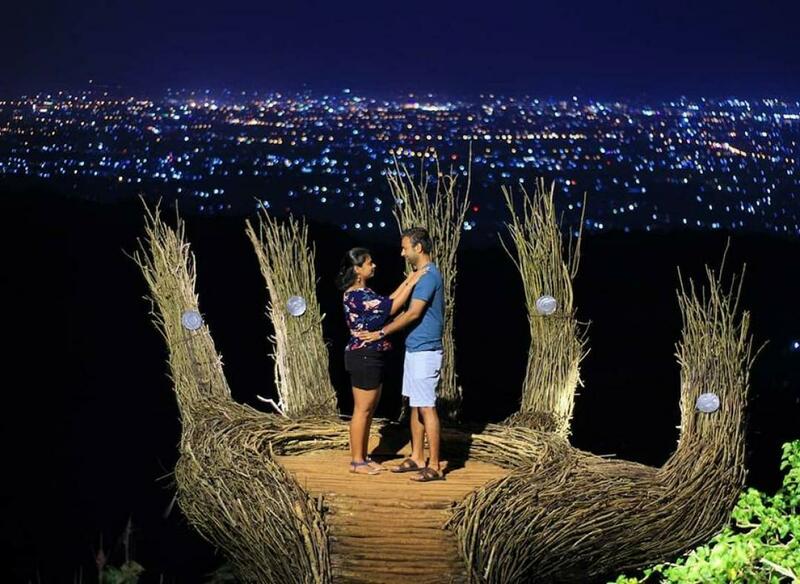 It’s because it has a great view to overlook Jogja city view. All the view won’t let the visitors disappointed. The cheap entrance fee and photoshoot make this place more popular. Many domestic and overseas visitors come to this place only to enjoy the view. The pine forest that’s already become one of the tourist attraction in Jogja. That’s why it is a must-visit place in 2019 and the following years.